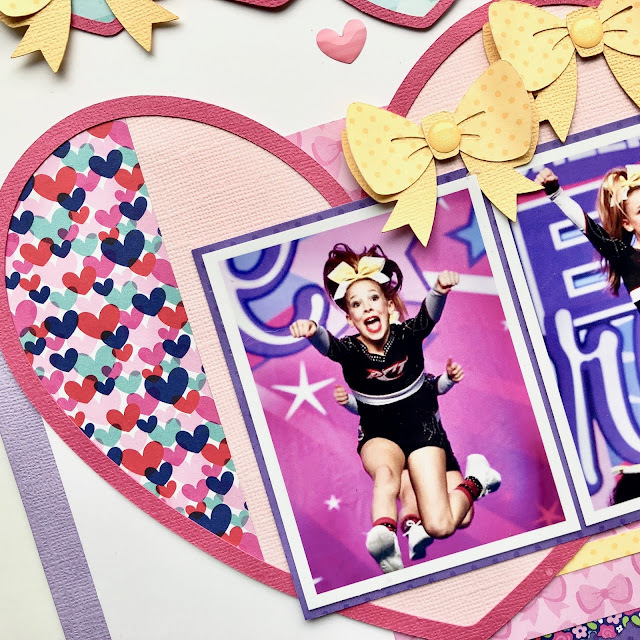 The quote 'Do what you love' rings so true as I scrapbook some awesome memories of my grand-daughter's cheer routine (doing what she loves) at a recent competition. 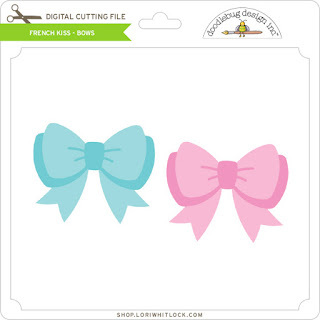 My design inspiration began with the title 'all heart from bow to toe' and so incorporating hearts and bows became the plan! 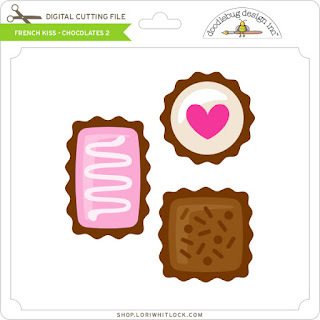 I perused the awesome collection of the French Kiss cutting files (available at Lori Whitlock) and found the bows and chocolate treats files. Why the chocolates? On one of the treats you can see the little heart and with a few easy clicks on my electronic cutting machine software I was able to make a heart outline in several sizes. I used card stock and patterned paper combinations under the heart outlines and incorporated my journaling into the medium sized heart. I'm swooning over those patterned heart shaped sprinkles too. 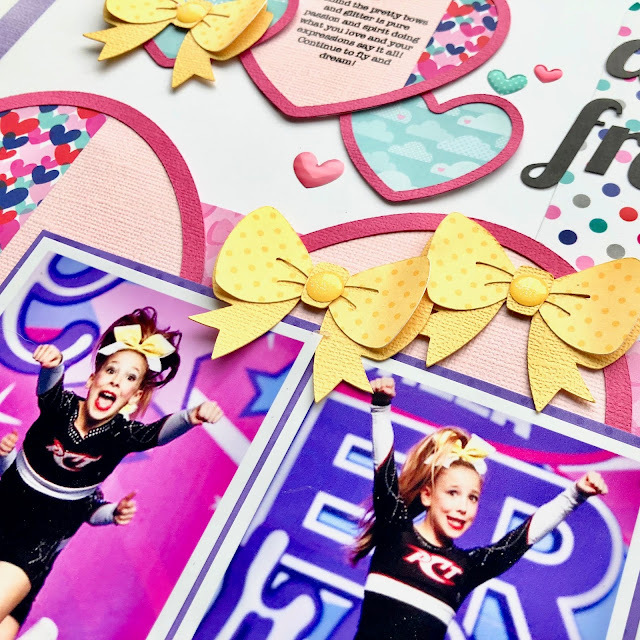 In power cheer, wearing a bow a big element to the look and with team colours being yellow and black, the bright yellow bows really adds the pop! Thanks for dropping by the blog, hope you can find time today to 'do what you love'! I adore this layout! I love the hearts filled with the Patterned papers and the dimension you added to the bows!